This fantastic and exquisitely furnished, class A low-rise building provide tenants with a prominent business address in Clark County. The world-renowned convention and entertainment hub is particularly ideal for companies in the aviation, construction, engineering, concession and advertising industries. The executive suites and co-working office space have great views of green open space and the area offers excellent transport links, making the center easily accessible. Located on Convention Center Drive and surrounded by a variety of local businesses this plug-and-play workspace gives your company the needed infrastructure to start and run your business quickly and easily. 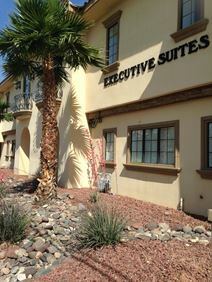 Close to both the airport and the Las Vegas strip, these executive suites are all inclusive and as well as having a full-time receptionist, tenants also have access to professional conference rooms. One months' rent and one months' security is all you need to get started. The regional transport links are also excellent and provide all tenants with a range of convenient and frequent travel options in operation throughout the area. Rental office space now being offered with great deals to be had close to the Las Vegas Blvd and offers easy freeway to the I-15 and I-95. This facility offers a lot of services and includes internet, telephony, reception and conference services all at great prices in these upscale surroundings. The regional transport links are also excellent and provide a range of frequent and convenient services throughout the area. Executive suites at Russell Road offered near to the International airport with many coffee shops and fast food outlets nearby. The facility is new and offers all the modern day office amenities, such as high speed network access, personalized answering of calls, friendly reception staff that can manage running your office so you can concentrate on your business. 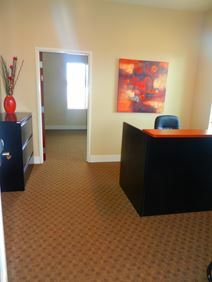 This center is located in a newly remodeled office suite that projects a business professional atmosphere. This pristine location offers companies with a space that separates itself from the rest. All inclusive pricing allows your business to pay one flat fee with no surprises. First class amenities complement the already impressive office space. Located near the McCarran International Airport and many local restaurants. Rental serviced space situated close to McCarran International Airport, and offers easy town access via all major freeways and highways. This service centre has just been refurbished and offers modern and well designed offices suites that can be tailored to the number of person occupying the unit. The site also offers a friendly team to provided support when needed. With some extensive and truly stunning views of Red Rock National Conservation Area, this comfortable and contemporary professional nine-storey office building provides high-quality flexible office space and executive suites, perfect for prospective business tenants of any industry or commercial background. The location allows for easy access into and out of the city via the I-215 and Las Vegas Beltway. The exceptionally close proximity to the area's major international airport and Las Vegas Convention Center makes this an ideal central location for any business' flexible office space requirements. Tenants are able to benefit from beautiful views over wider Las Vegas while the fantastic on-site facilities include a specialist fitness center and a 16-person training room. The local transport links are also ideal for all commuters and visitors. Office space conveniently located close to the Vegas Strip and to the McCarran International Airport through the I-15 which also brings you to downtown Las Vegas! This location offers a ton of restaurants and the Marriott Hotel just minutes’ away. The facility houses offices on the 5th floor which is well built with high quality fittings, and offers fantastic views over the city. This is an excellent location, close to many superb restaurants and shops. Parking is excellent, and the center is easily accessible. This is a prestigious business center, offering a range of executive suites, virtual offices and more. A light, comfortable environment awaits you here. These turn-key executive office suites are situated within an impressive two-story office building in the heart of Sumerlin Centre. All suites are furnished with maple wood executive furniture. The regional transport links present in the area are also excellent and provide all prospective tenants with a range of highly convenient and frequent servicesin operation throughout the immediate vicinity and surrounding areas. Serviced offices located within easy freeway reach and in this landmark location close to the downtown Las Vegas and many hotels nearby. This facility is a three story building and offers well appointed offices loaded with all the latest amenities and includes a range of admin services. 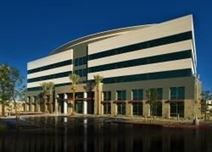 Leased office space located near the desert shores at Summerlin, Lake Jacqueline. This is an upscale business centre offering well designed and fully furnished office suites, conference facilities, the latest technology in a professional environment. Business support and presentation services are also offered. This is an easy to find location close to the airport, as well as restaurants and shops. Offering modern office suites, completely remodeled to meet your requirements, along with a large conference room and a range of other amenities. 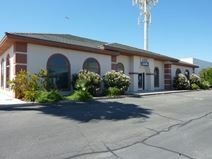 This center occupies an attractive low-rise building, close to the Las Vegas Freeway. Close to shops and restaurants, this center offers a range of workspaces to suit your business needs. Located at the corner of Harmon and Sandhill, this easily accessible remodelled business centre is both high-tech and eco-friendly, offering state-of-the-art executive suite facilities - from individual office thermostats to private secured entries. Most suites consist of two rooms, giving the option of an individualized reception area. The local transport links are also excellent and provide tenants with convenient services throughout the region. In the citys CBD and surrounded by three courthouses, city hall, hotels and other government institutions, this business center is ideal for companies within the legal world and offers on-site banking services and a food court. With close proximity to the city's Courthouse, this modern serviced office center is perfect for practicing attorneys and other related professional services. Within walking distance of downtown, this office space is conveniently surrounded by various local amenities. The regional transport links present throughout the immediate locality are exceptional and provide prospective tenants with a number of convenient travel options. With an extensive range of full-service office suites from 149 to 616 sq. ft. and plentiful access to the center's luxurious and spacious conference room facilities, this incredible and premium class business center location is just 15 minutes from McCarran International Airport and very close to a number of fantastic and very popular local restaurants and shopping opportunities. The area's regional transport links are also highly excellent, with extremely convenient and frequent road and rail services operating regularly and connecting the site with the surrounding area. Surrounded by hotels, shopping, restaurants, entertainment and bars, this center offers a range of serviced office spaces on flexible terms to suit your business and budget. A range of business support services is available, and the staff provides a professional and friendly service for our clients. The local transport links are also excellent and make the center easily accessible from anywhere in the immediate and surrounding region. With good access to downtown Las Vegas, this center is ideally located in the affluent master-planned community of Summerlin which is already home to companies from healthcare to finance. Banks restaurants and various other amenities are found right outside the door. 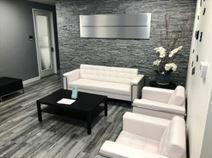 Outside of the hustle and bustle of the city center and just 10 minutes from North Las Vegas Airport right by the Durrango Hills Golf Course this business center presents a much more relaxed environment, ideal for productivity while access into central Las Vegas is still quick and easy. The area offers an extensive range of convenient and frequent transport connections, linking the center itself with the surrounding regio. Several furnished office located in this superb complex that is situated very close to downtown Las Vegas and to the McCarrab International Airport. The facility is close to many restaurants and top hotels such as the Marriott and the affiliated casino in Summerlin. The offices are based on the third floor for this tower and offer a great address and a range of facilities. Excellent support facilities are also offered. Located right next to the I-215 for quick access to downtown and the airport this center is opening soon on a popular mixed-use site that is home to a variety of retail, business and residential properties. Across the street from Palace Station this prestigious and exquisitely furnished high-rise office building provides stunning views of the city and easy access to the whole of the region with ease. The executive suites are complemented by great amenities such as a 10-person boardroom that looks out on the Strip. The area also offers a number of convenient and frequent transport services, making the center easily accessible for all.